Personal injury attorneys must use technology and get their boots (and eyes) on the ground at the scene of the accident as quickly as possible. But just getting to the scene is not enough in the age of CSI and jurors who want to visually see and examine your case — folks want independently confirmed evidence rather than just hear your version of events. The "story" of suffering a major injury is best told with pictures, video, key documents and not just with a personal injury lawyer’s words, and this article touches on a major electric shock permanent injury to a Virginia (VA) client. 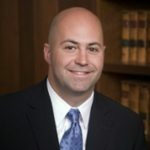 I have been involved in injury cases for almost 25 years and there are some things that an experienced personal injury lawyer needs to do right away in major and catastrophic injury cases, whether involving electric shock or any other major injury. What I mean is lawyers must be familiar with all available technology tools and must visit with the client and if possible get to the accident scene, look at the equipment right away AND GET DOCUMENTATION. To explain how this works it’s best for me to give you my examples from a recent trip in a major case. I’ve been involved in injury cases for almost 25 years and there are some ESSSENTIAL things that an experienced personal injury lawyer needs to do in major and catastrophic injury cases: get video and get pictures (jpgs) while the evidence is fresh and do it yourself if possible. I received a call from a potential client’s mother indicating that he suffered a very serious electrical shock injury. Her son, who was in his 20s, was in a rehabilitation hospital in Virginia some ten days after suffering a major electrical shock injury. After speaking with his mother and himself, and learning that there had been very little in the way of any core investigation by this time, I got home from work that very evening and I searched for flights to see how early the next day I could get to the airport closest to their fairly rural location. As soon as I realized I could get to their area by 10:00 or 11:00 in the morning the next day, I called them that evening and told them I would be there at the rehab hospital before noon the next day. I finalized my air travel, called a rental car company, and packed up all of the following: my laptop, my digital audio recorder, digital camera, tape measure, notepads and my Blackberry. Once I landed in the nearby city, I jumped in my rental car and headed straight to the rehabilitation hospital. As I got to the parking lot, I saw that the Nightingale rescue helicopter was on the landing pad right in front of the hospital and I’d already been told that my client had been taken by rescue helicopter from the accident scene so I pulled out my video camera standing in the parking lot and carefully took several minutes of videotape of the helicopter, followed by still pictures on my digital camera. I entered the rehabilitation hospital, found my client’s room, where I met my client in person for the first time along with his mother and other family members. After completing relevant paperwork retaining me as the lawyer on the case, I interviewed my client with my digital audio recorder. After I asked my new client about how he was doing I then took digital pictures of his various injuries because he had major loss of use of an arm and a leg. Horrible injuries caused by massive electrical shock, that easily could have electocuted him. Fortunately, the electricity blasted through his body, through his shoe, to the ground and he luckily was resuscitated and survived. Apparently, though the incident is still being investigated, a mobile crane operator had touched an overhead power line, which sent massive voltage through his body. My client explained to me the location where he had unfortunately had this electrical shock which was within a few miles of the rehabilitation hospital so I immediately resolved to drive he and his mother to the scene. I had asked this in advance, and the doctor in charge needed to give him a "pass" to leave as he was wheelchair bound. Once we arranged the release from the medical personnel, and carefully transferred him into the front seat of the rental car, we drove to the accident scene where he gave me guidance so I could take videotape and then still pictures. He verbally described to me a bunch of things about what had happened. I got out of the car and stood on a public road and took videotape and more still pictures of the area of the accident. I inquired about the location of a particular piece of equipment that was involved with the electrical shock and my client told me that he had learned that the particular item was at a third location so we immediately traveled there hoping to get pictures of the actual equipment. When we arrived at the location we were fortunately able to get fairly close to where the equipment was located and again I obtained videotape and digital pictures of the involved equipment. Soon thereafter I traveled with my client and his mother back to the rehabilitation hospital having achieved many of my goals in better understanding the nature of his injuries, observing his injuries, and also obtaining pictures and videotape of the area and the equipment. I felt this was a very good start in order to represent my seriously injured client. Also, I learned about all of his medical providers and made notes so I could travel back to the law office and have my staff begin the process of obtaining relevant medical records. I used my laptop extensively in order to exchange photographs involved and relevant equipment with my client and his mother. Bottom line: in a serious injury case there is no substitute for being there or for documenting everything potentially relevant to the case. And, of course, if you, as the attorney, can manage the technology, you often save having to delegate tasks to others and may save some expenses to boot.